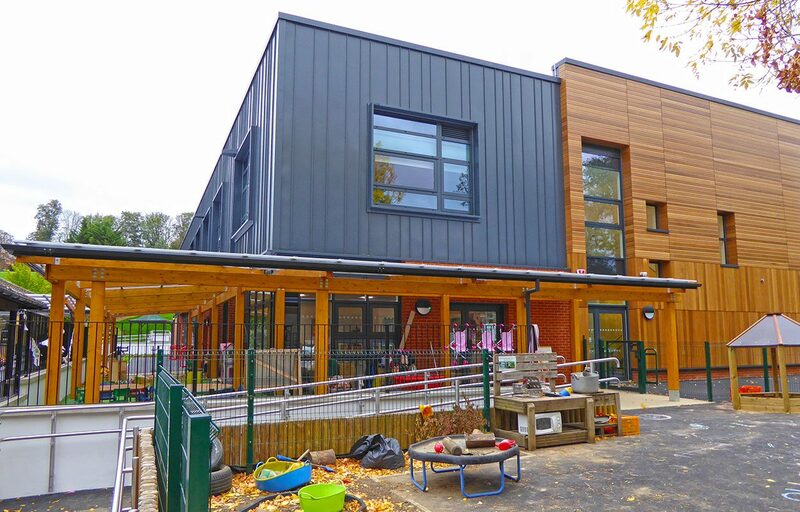 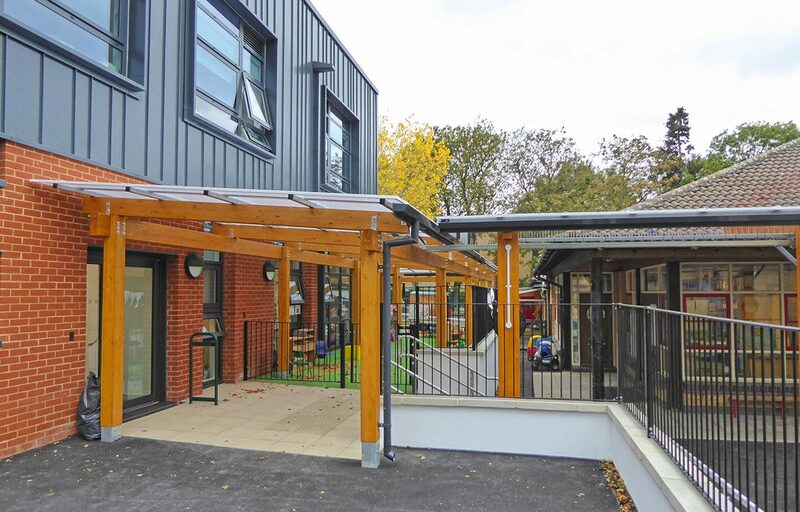 Fordingbridge worked closely with the schools appointed Architects to provide a seamless link from the old building to the new over challenging landscape. 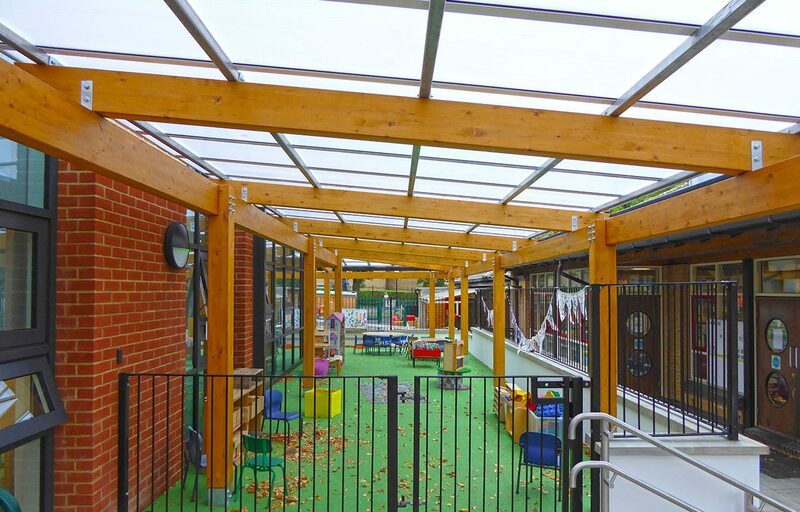 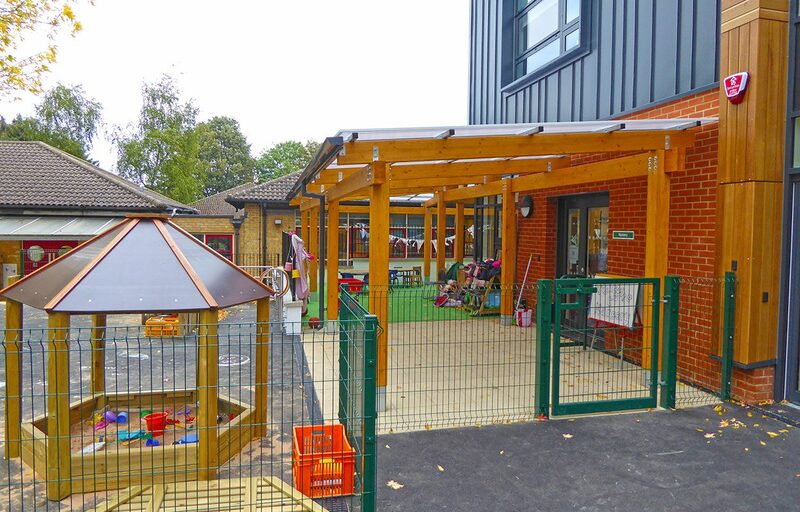 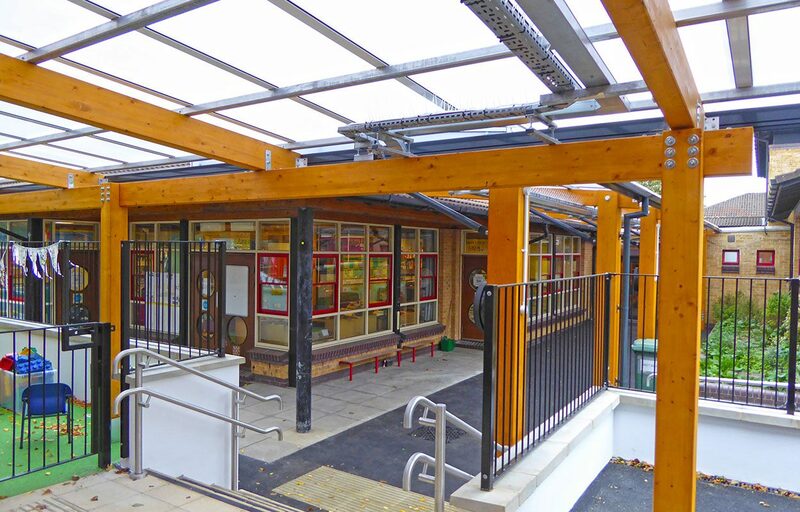 The result, two structural timber canopies were designed and installed by Fordingbridge to fulfil the requirement to deliver a weather protected walkway for staff and pupils. 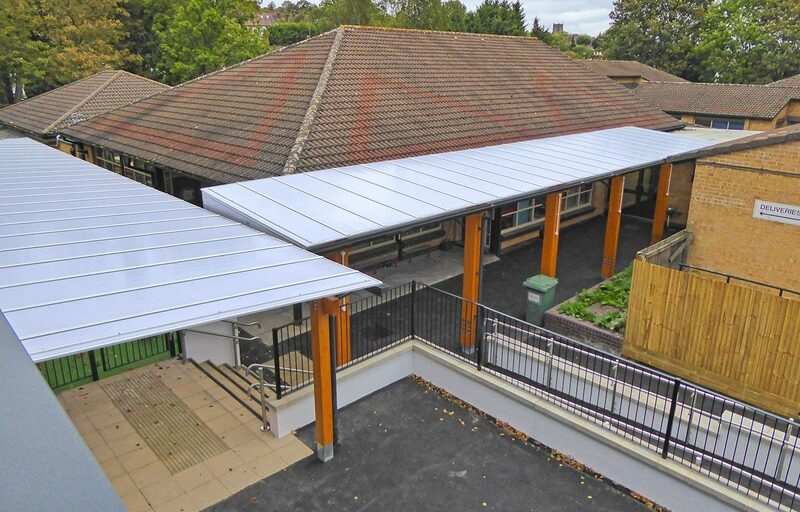 One canopy is a 3.38m span x 16.32m long with partially clad gable ends and the other has a 4m span x 31m in length.